Starting a Side Hustle on the Cheap? 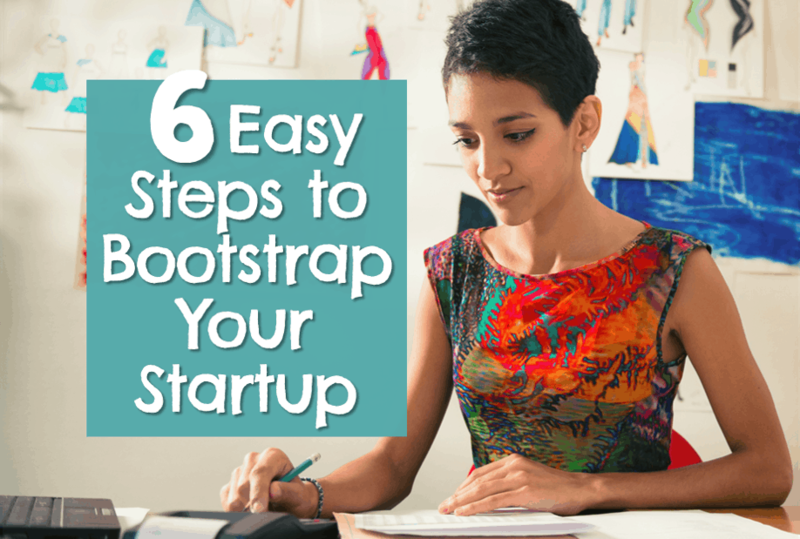 6 Easy Steps to Bootstrap Your Startup | Good Life. Better. Was starting a side hustle on your list of New Year’s Resolutions? If so, I think you are in for a great adventure. I started a side hustle in 2015 and I’m so glad I did. It’s not bringing in tons of money and it will never be a passive income stream (because if I don’t work, I don’t get paid), but I have learned so much in launching my business. I’ve also gained a ton of confidence: every time I power through a challenge, I am reminded what I am capable of. Here are some easy steps for you to follow based on my experience starting a side business without a lot of money to invest. You’ve got this! I know what you’re thinking: I’ve already thought everything through so I don’t need to write anything down! No. I wanted to skip this step too, but I’m so glad I didn’t. I have gone back again and again to that document to answer questions from the bank, from my accountant, from my insurance company, etc. I have no doubt putting everything in writing definitely saved me money. The template also had me create a spreadsheet of my estimated expenses and income for the first several years (a break-even analysis). This exercise forced me to think very hard about target client numbers, how much I should charge, and when I could realistically expect to make a profit (year 3 in my case). It wasn’t pretty—my projections estimated I would need to invest several thousand dollars of my own money (and countless hours of labor) before I would likely break even and even more before I would start getting paid for my time. But it did prove to be fairly accurate and seeing that big number made it a lot easier to resist purchasing the fancy office supplies. After I did the break-even analysis, I had a better idea how much I would need to invest but I still had to determine how much I could afford to invest. In 2015, I was still okay with being in debt but that didn’t mean I was super happy about going into even more debt. 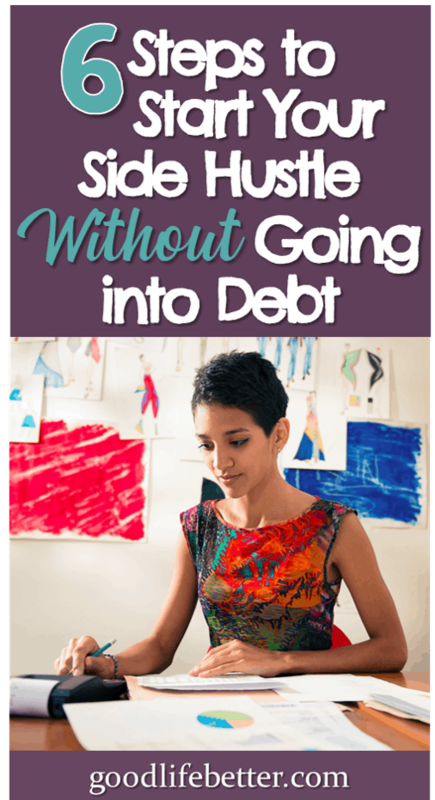 I knew I didn’t want to take out a business loan because I had no idea how soon I would start having money come in. This meant I had to pull the money out of my savings. Could I afford it? Is this what I wanted to spend my savings on? In the end, the answer was yes. I knew I would regret not trying to launch something more than I would regret spending some of my savings. Small businesses are what drive the U.S. economy. Your local, state, and federal government knows this so they try to make it easy for you to launch a successful business (even if it doesn’t always seem like it). This means that, with a little research, you can get started without having to work with a lawyer. If doing so would make you feel better, then definitely go ahead. But in my experience, it’s not necessary (to be fair, I am a lawyer although not one who has ever worked in this area of the law so I basically know what the average Jane on the street knows). You’ll find resources to help you in your library and available from your local Chamber of Commerce; on your state’s Secretary of State’s website (scroll to the middle of this page and type your state’s name to be taken to the correct website); and on the Small Business Administration’s website. In my case, I formed a limited liability company (LLC) and I am not exaggerating when I say that I think it took me all of 15 minutes to do so on my state’s Secretary of State website. There was a fee but it wasn’t much—maybe $100?—and I have to renew it each year at a cost of $50. Based on my research (which informed my business plan), this was the best option for me and it’s worked out fine. If you are going into business with someone else, ignore what I said above and hire an attorney to create an operating agreement (this is the legal document that outlines each members responsibilities, contributions, liabilities, etc.). DO NOT SKIP THIS STEP. I know that everything between you and your business partner is awesome right now but it is unlikely that will always be true. One of you could get bored and stop contributing, or you could no longer agree on what direction to take the business. One of you could even pass away (which means instead of dealing with your partner you are dealing with his or her estate—yikes!). When it’s time to dissolve the business, having something in writing that states how assets (or debts!) will be divided will keep you out of court which will save you both time and money. It’s important that you don’t mingle business and personal funds so there’s no question as to what assets (or debts) are yours and which belong to the business. 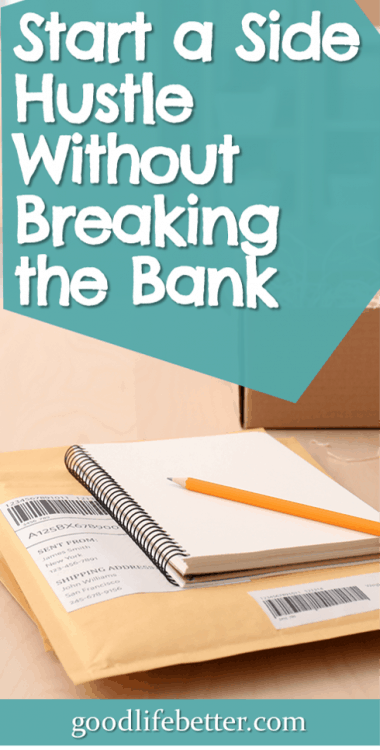 This means you will want to open a bank account in the business’s name. My business account is with Capital One and I’ve been very happy with them. My local bank would’ve charged me lots of fees but my Capital One account charges no fees. This was very important when I was making no money (and is still important even though I am making some money now). In the beginning, there were some things I paid for using my personal credit card because I needed to form my business before I could set up the account. I documented all of this and then, when the account was set up, I deposited money in the account and then reimbursed myself for the expenses from the account. Doing so may have been unnecessary but it made me feel better having a paper trail just in case I was audited (which I wasn’t). You will also want to identify a system for tracking income, expenses, and inventory. 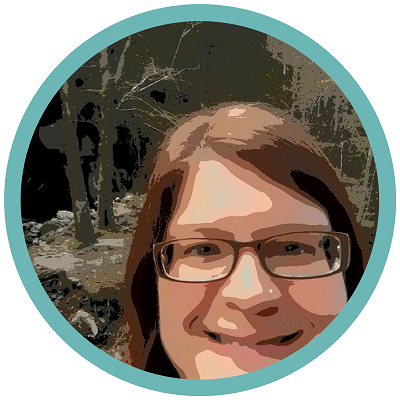 I started with QuickBooks but quickly found a simple Excel spreadsheet was sufficient as I have no employees and no inventory. Taxes are a real issue and I would recommend meeting with an accountant at least once to create a plan of action (my accountant charged $250 for a consultation but then credited some of that toward doing my taxes). I have yet to make enough from my side hustle to require me to pay quarterly taxes in addition to what is taken out of my paycheck from my main job every two weeks. As such, I’ve not used an accountant to file my taxes since my first year. If my income from my side hustle were to increase significantly, however, I would definitely work with an accountant. It’s worth the fee to make sure you stay on top of your tax bill. This one may be obvious but I think it’s where a lot of people get into trouble. You will want to come across as professional, and to purchase all the tools you really need, but there are many ways to cut corners and still project legitimacy. For example, I had originally budgeted to hire someone to design a logo for my business. I didn’t know any graphic designers and I had no idea how much it cost but I thought it was something I needed to do. Then it occurred to me, I bet there is a logo design app out there. Add there was! I used an app called Instalogo but I am sure there are others. For a few dollars and a little time, I designed a perfectly respectable logo that I still use today. You also quickly learn that paper product add up quickly (but there are work-arounds!). For example, instead of ordering reams of letter head, I created a digital file and when I’m running low, head to FedEx and have them print off 75 copies on their nice color printer using my paper. This saves me money and ensures every page of my client letters are printed on the exact same paper stock. In addition, instead of getting folders with my business name and logo on them, I use these plain gray folders and then add a label with my logo and name on it to personalize the folder. Professional but thrifty! I was also able to avoid the costs of a separate phone line by using Google Voice to set up a number for free. I use my own phone but call through the Google Voice app so that when I call my customers, it’s the Google Voice number that appears on their phone. They can also send me texts to that number, and leave me voicemails which are then transcribed and emailed to me. This is great for record-keeping! Finally, I postponed buying things that weren’t necessities. This means in year one, I did spring for the nicer stapler but put off purchasing the label maker until I’d actually had a few clients who had files that needed labels. All of these decisions helped me manage my expenses and use my personal investment into the business wisely. You can do the same. Unless you have a doomed business idea—which hopefully you would have realized in step one when you created your business plan—your biggest investment into your business likely won’t be your money but your time and energy. That may sound daunting but it is actually the thing I love most about my side hustle. I can grow it as fast or as slow as my time will allow. Since I’m not depending on income from it to pay the mortgage, it works around my schedule and not the other way around. For some, this might be deadly because there is always something else to do with your time (scrolling through Instagram, anyone?). But for me, that flexibility has been what’s kept me going. I stay with it because I enjoy it and I am in control. Those two things aren’t true for my day job. What Scares You the Most About Starting a Side Hustle? If you’ve been thinking about starting a side hustle but have yet to launch, what’s stopping you? There are a lot of reasons not to but hopefully money isn’t one of them. What library book did you find the LLC startup info in? I like the legal books from NOLO, but those templates you mentioned sound really helpful! I’m sorry but I don’t remember the name of it or the publisher. It was older—the blank excel file for the break-even analysis was on a CD if you can believe it. To create the LLC, I followed the instructions on the Secretary of State’s website for my state. But the book and talking with my CPA were how I concluded that was the best route.